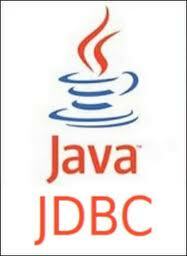 In JDBC (Java Database Connectivity) there are 3-types of statements that we can use to interact with the DBMS (Database Management System). Go over very simple steps to connect to Oracle DB and Execute Query. represents the base statements interface. In terms of efficiency, it is suitable to use Statement only when we know that we will not need to execute the SQL query multiple times. In contrast to PreparedStatement the Statement doesn’t offer support for the parameterized SQL queries, which is an important protection from SQL injection attacks. With that said, Statement would be suitable for the execution of the DDL (Data Definition Language) statements, such as CREATE, ALTER, DROP. extends the Statement interface. In most cases it is more efficient (in the context of multiple executions) to use the PreparedStatement because the SQL statement that is sent gets pre-compiled (i.e. a query plan is prepared) in the DBMS. Furthermore, we can use PreparedStatement to safely provide values to the SQL parameters, through a range of setter methods (i.e. setInt(int,int), setString(int,String), etc.). extends the PreparedStatement interface. This interface is used for executing the SQL stored procedures. One particular advantage of using CallableStatement is that it adds a level of abstraction, so the execution of stored procedures does not have to be DBMS-specific. However, it should be noted that the output parameters need to be explicitly defined through the corresponding registerOutParameter() methods; whereas the input parameters are provided in the same manner as with the PreparedStatement. Java Collection Examples. WordPress Tips. Java: MySQL JDBC Connection Tutorial – What is BasicDataSource? How to Create BasicDataSource Object?